Lifau near the main coastal town of Pante Macassar was the first place the Portuguese landed in 1515 and this site is marked by a memorial park. The most interesting other colonial site and a good viewing point is an old garrison building – Fatusuba on a hilltop immediately behind the town. 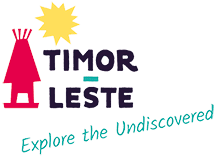 In 1959 when Portugal and the Netherlands divided Timor Island under the Treaty of Lisbon, Oecusse-Ambeno remained with the Portuguese section, now known as Timor-Leste. The laid back town of Pante Macassar is fronted by a grey sand beach and is overlooked by striking mountain peaks. The groves of banana, coconut, papaya and mango trees between the houses give it a very tropical air. Pantai Mahata just to the east of Pante Macassar has a good reef for snorkelling and diving as well as offering an excellent vantage point for the annual whale migration. This isolated enclave features jagged mountain ranges, fertile river flats along the Tono River and long sweeping beaches great for beach walking, swimming and surf casting. This municipality offers some wonderful hiking opportunities including the area around Kutet with its dense jungle, waterfalls and mountain panoramas. Walking tracks link the many traditional villages and a hiking guide is definitely required. To the south of Oecusse-Ambeno, the enclave is ringed by a mountainous escarpment with peaks rising to more than 1,200m. In this area near Oesilo geothermal small hot mud volcanoes can be found blowing their tops. The local population of Oecusse-Ambeno are mostly Dawan and are known for their incredible warmth and friendliness. Their traditional conical shaped houses dot the landscape from the coast to the mountains and they mostly speak Baikeno. They are acclaimed for producing distinctively woven and embroidered tais, as well as wood carvings and other crafts.